Find Better Ideas, Faster ® with a custom child monitoring trend report, our PRO Dashboard and 80+ categories of premium trend reports. 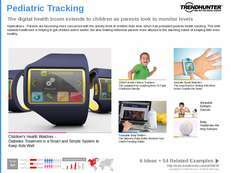 With respect to the latest and most advanced forms on technology, the Child Monitoring Trend Report focuses on the gadgets that help parents keep track of their children's safety. We will examine a variety of devices that monitor children -- from infancy sleep monitors to pre-teen cellphone and Internet activity trackers. This report is an insightful resource for technology developers and software designers. 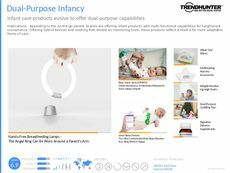 It can also help security companies form long-term partnerships with tech brands in an effort to create new products -- designed with children's safety and well-being in mind. 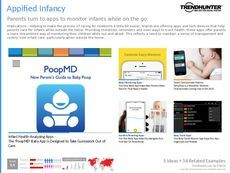 The Child Monitoring Trend Report will help readers hone their digital skills while giving them inspiration for new product launches that keep safety in mind.